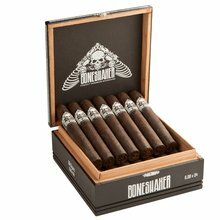 Brace yourself for a full-bodied smoke of epic proportions with the premium War hammer cigar from Boneshaker. This impressively big 6 x 60 stick derives its power from a toothy Sumatra wrapper surrounding a burly Connecticut Broadleaf binder, and a blend of perfectly aged long filler tobaccos from Nicaragua. Once lit, Warhammer unleashes its fury with bold satisfying notes of chocolate, sweet spice, pepper, and cream. 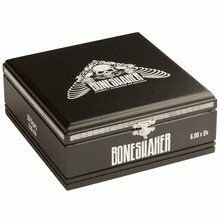 Pick up a box of 20 on the JR Cigar website and really put your taste buds to the test! Big full and robust, delicious flavors but well-balanced, smooth and sweet too. Very very nice. Will definitely buy again! Second review: same as before; the regular version and the "full body cast" don't seem to be different, but that's not a bad thing. Both are the most consistent draw and cigar I've ever ran across. And I've smoked thousands of stogies. Are they quite the quality of La Gloria? Not quite. But for a fraction of the price, it's a no branier. WOW. The first one I had I was driving home, not an good idea, when I got home I had to have a Makers Mark to sober up. I really like this cigar. It is packed a little tight and makes the draw difficult. I smoke them in my shop so I push a small phillips screwdriver in the end to create a better draw then enjoy the 2 hour smoke! Caught these on sale and had wanted to try them out. Happy I did. I plan to keep them around as a regular smoke. This is my new go-to cigar. So full flavored, well-made and for an unbeatable price. A recent discovery, and I'm actually embarrassed it took me so long to find it! I really enjoy this cigar. It's one of my favorite jr exclusive cigars. If I could I would always have these in my humidor. I've had no issues with it so far. In my opinion it's one of the best for the price. I will always buy these when they are on sale. Otherwise, I cannot afford them. Good smoke. Nice robust flavor. I don't know how anyone could like this cigar. It has a horrible flavor and harsh bun. One of my favorite cigars. 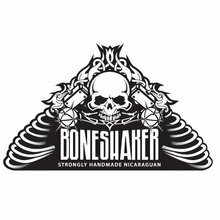 Consistently rich flavor, draw, and construction. Great value. I've made many friends become fans upon trying this one. Just doesn't have that kick in the pants like AJ Fernandez and Cuban Cigars posses. 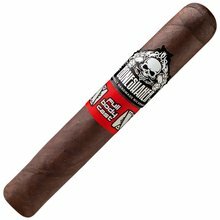 I smoked brickhouse Maduro, so the first cigar went to my head because of the strength, but after that I was adjusted to how strong it was so now this is my new after meals smoke. I love the aroma it lets you know your not smoking something mild. Great full body stick with great flavor at a great price !